Tasks with multiple assignees allow two or more users to work on the same task at the same time. In this article, we’ll show you how to assign groups of people to a particular task in Runrun.it, improving employee interactivity! To create a task, click the red button in the upper right-hand corner of the screen, and fill in the required fields: Task Title, Assignees, Type, and Client> Project. 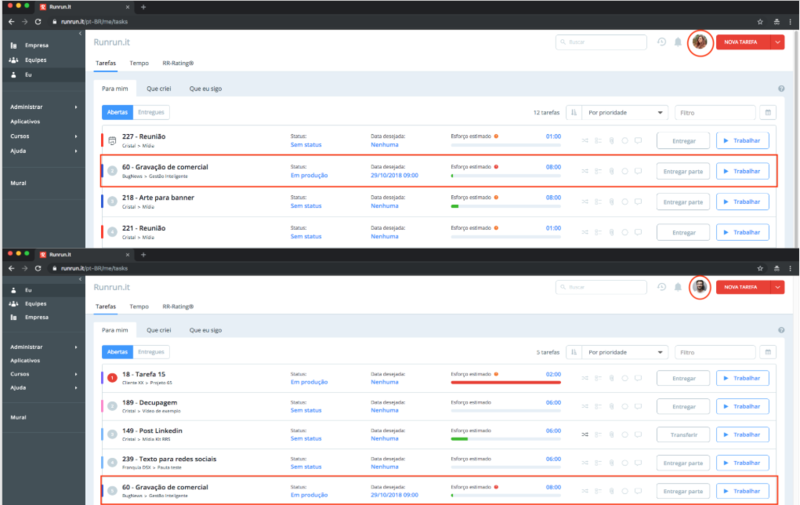 In the Assignees field, you can add anywhere up to 20 users (any user that belongs to the assignees’ team (or teams) can also assign themselves) or send the task to a team's Backlog. Note: Multiple Backlogs cannot be added to a Task. ● Assignees can view the Client>Project task. Note: The Admin can, when needed, change the permissions in Admin> Users; Admin> Task Types and Admin> Client>Project. Click on the task to open it, and you will be able to see the all the assignees, along with who is working on the task at the same time as you are. All assignees can edit the following task fields: description, title, desired due date, schedule and repeat rule, add or remove allocation, as well as complete the entire task, in addition to their part. A Task that is assigned to multiple users is made up of parts, so your tasklist will have only your part. 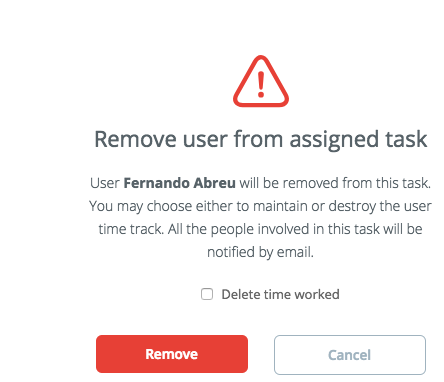 This means that tasks assigned to multiple users do not have a single priority in Runrun.it, as each assignee can reprioritize their part of the task according to their list. Example: Carol and Fernando have been assigned to task #60. While the task is listed as priority 2 in Carol’s task list, Fernando has given it priority 5. Wherever else the task appears in the system, such as in the RR-Board®, spreadsheets, and tables, it will be listed without an associated priority. Since each part of the task can be given a different priority according to each assignee’s tasklist, the start date of a task with multiple assignees is based on when the first user is expected to begin work on the task (clicking “Play”), while the estimated delivery date will be based on the last user to begin work on the task. By clicking on the “Who are you going to assign to the task?” icon, you can add new assignees to the task. Select the desired user and then click on ✔ (check) to confirm. To remove a user, click on that user’s avatar and then on xRemove allocation. To confirm click on Remove. You can Transfer a task to a Backlog by clicking More Actions> Transfer to a Backlog> Select Desired Backlog > Transfer. At that point, all assigned users will be removed from the task, including any users with their “Play” icon activated. The users’ registered hours will be retained. However, any change in the Effort will be lost. All assignees can take this action. The Total Effort in tasks with multiple assignees is calculated using the sum of the individual efforts of each assignee. Example: The "Generate Monthly Report" task type is listed as requiring an 8-hour effort. This is the amount of time John would take to complete task #653 by himself. If I assign Maria, Ben and Priscilla to task #653, each effort will be listed as 8h, and the Total Effort for the task will be 4x8h = 32h. To change your effort, click on your avatar and enter the desired figure or click on the Effort field. In Task’s with multiple assignees, Total Time Worked represents the sum of every assignee’s registered hours. When scheduling a task with multiple assignees, scheduling will occur for every part of the task. When creating a repeating task for multiple assignees, when any of the assignees click on "Play", the task will repeat itself in the everyone else’s Tasklist. You cannot include a Sequence rule for multiple assignees.